The worldwide problem of tooth decay has many consequences. Since the current state of healthcare is in a bit of a crisis, many insurance plans do not do much for those that need special attention within the dental realm, and the cost is always a large burden on any individual. 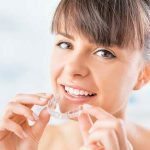 As teeth begin to decay, there are numerous procedures that may have to be done to ease the problem, and preserve the teeth’s health. Here are some statistics about decay, and the demographic sectors it affects as well as prevalence within certain age groups. These statistics just begin to shed some light on the problem, and how serious it has been for decades. White adults and those living in families with higher incomes and more education generally have more decay. Hispanic and Black adults and those with lower incomes have higher levels of untreated decay. Adults 20 to 64 have an average of 3.28 decayed teeth, and 13.65 decayed or missing surfaces. 1 in 5 children in the United States go without dental care, and more than 40% of children have cavities by the time they are in Kindergarten. As far as children who have special needs, dental care is the most common unmet need for them, as they attempt to navigate through their day to day lives. With limited access to oral health care, kids who come from poorer backgrounds are bound to have a much higher rate of tooth decay. When tooth decay is left completely untreated, children can also experience the pains of malnourishment, needing emergency surgery, life-threatening infections, and an array of other social development issues. One in ten Americans surveyed admit that they regularly forget to brush their teeth, and one in three individuals has never flossed their teeth, another very important way to prevent long-term tooth decay. A dental cavity is actually a hole in a tooth, but the cavity that manifests eventually is the result of a long process that happens over time during which there is heavy decay. Our mouths are full of bacteria, and there are hundreds of different types that are living on our teeth, gums, and tongues. Over long periods of time, infections take place in the mouth, and certain types of bacteria quickly take the sugars in various foods we eat and then make them into harmful acids. Over time, these acids are what makes an otherwise healthy mouth begin to have elements of tooth decay. The acids are combated against by actual minerals in our saliva like phosphate, and fluoride from water and toothpaste. When these acids are exposed to the teeth frequently, the enamel will continue to lose minerals. A white spot may be visible where minerals have been depleted, and this is one of the recognizable signs of early decay. During this early point of decay, the process can be stopped…. and enamel can repair itself by using the minerals from saliva that aid in teeth’s longevity. If the process of decay continues, more minerals valuable to the fight disappear. That is when a cavity forms, and in most cases this is permanent damage that needs to be repaired by use of a filling by the dentist. Childhood tooth decay is the #1 chronic childhood illness in America, and can have many consequences on health besides just within the dental realm. While very young children up to age 6 have the highest risk for incurring damage to their teeth regarding fluoride, it is also one of the best components there is for the fight against decay, when administered in suitable amounts. Many people wonder when any child should first see a dentist, and by around their first birthday is usually the ideal time. Right around age two is when it is safe to use toothpaste for brushing teeth, but this is a time to be very careful with fluoride. Make sure that your child is not swallowing toothpaste, as this is a very common thing that happens, putting your child at a bit of risk for over fluoridation. As soon as you see that two teeth touch each other, that is the best time to start flossing between them once a day. At any age, what a child eats is very important for the scope of their overall dental health. Starchy foods and the like are some of what is the most harmful elements you can expose the teeth to, one of the worst things you can do to a child at this very young age is to give them very sugary drinks in their bottles. When they are still in this very intense stage of development, a high concentration of sugar is going to always pose a health risk as far as decay is concerned. During this very young age, you will usually have to supervise children who are brushing their teeth. You also do not need as large an amount of toothpaste as those who are in their teen or young adult years. Just a very small amount can be sufficient, and combined with habits such as not having so many sugary drinks can really help as far as decay. One of the most noticeable changes from very young children to elementary-age children is the discovery and enjoyment of snacks. Some kids that had a hard time eating anything as a very young child have now figured out what they really favor, and the results are not always good. Sugar cereals, cookies, and candy bars can be some of the worst culprits there are as far as states of tooth decay. As a parent, one of the best things you can do to children at this age is supervise, supervise, supervise. We have become so busy with our careers and lives, that it now has become quite the norm to have children home alone after school, or even at night. Keeping an eye not just on how often they eat, but WHAT they eat is very important. Someone with a very busy schedule may be so happy that they finally got their child to eat something that they enjoy, they may give up and just hand over the tube of potato chips, or sugar cereal box. If you are in a family that allows desserts and many sweets, even on into the night, make sure that there is not a stash of sweets in the bedroom that can be eaten after your child’s teeth are brushed at night. When a child is still of elementary school age or earlier, dental sealants can be a helpful aide in the battle to avoid cavities. These are thin, plastic coatings painted onto the surfaces used on the chewing surfaces of the back teeth, and help keep food and bacteria out of the grooves that are hard to brush away. The use of sealants for this age group is particularly helpful, because they form a protective barrier for the teeth that prevents food from being trapped inside. One of the best reasons for sealants is that the first permanent molars called “6-year molars” come in between the ages of 5 and 7, and the second permanent molars come in between 10 and 14. During the elementary years, visiting a dentist frequently for cleanings and examinations is also one of the best ways to make sure you are checking for tooth decay. During the elementary school years, a child can be shown how to remove dental plaque properly, check for areas where tooth decay may be taking place, and even apply a fluoride gel or varnish to help with decay. Early childhood dental caries is five times more common than asthma, and a lack of insurance and access to dental care can really pose problems with this elementary age group. During middle school, a sudden surge of independence can sweep across anyone without notice! They see their parents preparing meals, want to prepare them on their own, and may learn how to cook their own spaghetti and a few choice meals. One of the biggest dangers for this age group is tobacco, even though some don’t believe that that those this young are using it. The middle school mindset carries along with it the first time in someone’s life where they want to begin to skip breakfast. 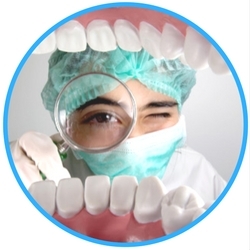 As far as tooth decay and cleaning properly is concerned, it seems like a good idea at first. You may not be loading on the carbs, are skipping greasy offerings such as hash browns, sugary donuts and the like may give a middle school aged student the impression that it can provide benefits to their dental health. This can be true in some instances, but skipping breakfast may lead to overuse of energy drinks, caffeine, and other sugary drinks you intake that are harmful to you. Also, many middle school students that begin to pack items such as granola bars and the like should realize that if they are frosted in chocolate, the risks to the teeth can greatly multiply. 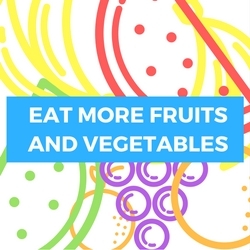 One of the best things to do for a middle school student is to show them how fresh fruits and vegetables are better for them then a lot of the sugar-loaded snacks they have become used to. Even though some may find it hard to believe, those who are reaching middle-school age can really take a quick liking to snacks such as carrots and celery, and if they do, the good habit can be formed in the long run. This is also an age group that loves to find ways to get out of their dental check ups, which are very important for the prevention of decay! 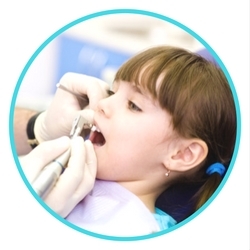 As soon as a dentist takes a look inside the mouth of a middle-school aged patient, they can determine with x rays or by other means what exactly can be done to improve tooth decay right away. Diet is one of the biggest factors in preventing decay: if a middle school aged individual gets a sudden craving for leafy greens, salads, hummus and other similar foods, they can begin some very positive dental habits early. Using a waterpik is another great habit that middle schoolers can pick up: along with flossing, it is one of the ways to fight tooth decay before years of bad foods and sugar take their toll. High school students are an age group in which things can take a drastic turn for the better, or for the worse as far as tooth decay is concerned. Many times this is when an individual begins smoking, which is one of the absolute worst habits to take up if trying to remain healthy. 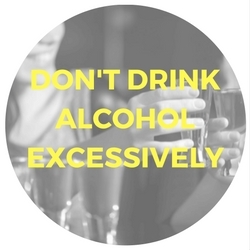 Most teens will not use alcohol excessively, but if they do, are also going to suffer serious decay, as well as worn-down enamel on the teeth. Many times these days you see adolescents with tongue piercings, and wonder about the risks. Aside from chipped or cracked teeth, blood poisoning and blood clots, as well as the potential for brain abscess, this can also bring about receding gums, and a higher level of scar tissue. Since there is such a high level of bacteria in the mouth already that can lead up to eventual decay, it should be known that piercing is a very common way to get a serious infection. 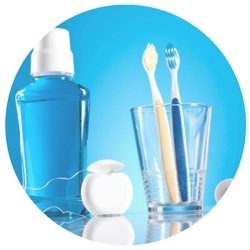 During the teen years is a good time to introduce mouthwashes: if your checkups have already shown that your teen may have a high risk of cavities developing, a mouth rinse with fluoride may be an excellent tool for fighting tooth decay. At this junction in life is when an individual can become incredibly independent and responsible, or just the opposite. Sometimes teens are known for sleeping in, staying up late, and perhaps loading up heavily on sugar. If a teen has already experienced a bit of weight gain, there may be a desire to cut down on sugar and fatty snacks. Many teenagers have shown a lot of willpower and determination when it comes to this, but unfortunately, some are just the opposite. Since this is a time when so many are trying to attract a dating partner, the good news is that brushing teeth sometimes will occur much more frequently than the middle school and elementary days. This is always an excellent way to prevent decay, and if sugary or starch-laden snacks are consumed, will help right afterward. This is the time in one’s life when wisdom teeth can begin to show their presence, and while it is not really related to decay, can pose some problems if they don’t heal correctly after removal. If those in their teen years brush frequently and floss, they will really have an intense leg up on a healthy dental adulthood; this is a period of life where many solid habits are formed for the long run. By the time someone is in their early 20’s, they may have even had whitening treatments, a few cavities to content with, and made it through wisdom teeth surgery. Those who are developing a taste for red wine may be suffering some loss of enamel, and the college lifestyle may lead to a lot of snacks and the like without feeling like they have time to brush after. Dentists tell us that one of the most common problems among adults is the gradual decay that occurs: brushing teeth twice a day is great, but what about all of the snacks you are loading up on during the afternoon that don’t get a proper brushing after? Here are some statistics that give a bit of a snapshot of the state of adult dental decay, and some information about the problem. 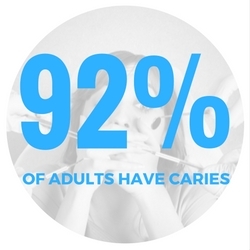 More than 9 out of 10 Working-age Americans have cavities in permanent teeth. Among adults aged 20-64, 91 percent displayed caries, and 27 percent had other forms of untreated tooth decay. Federal data states that 94 percent of non-Hispanic white adults of working age displayed decayed teeth, compared to a stunning 91 percent of black and 86 percent of Hispanic adults aged 20 to 64. In 2011, nearly all United States adults aged 65 and over with permanent teeth displayed dental caries. 92 percent of working-age adults were found to have cavities in permanent teeth, and 26 percent had some form of untreated decay. As adults, you are at the point of your life where you are truly trying to “Get more mileage” out of your mouth. 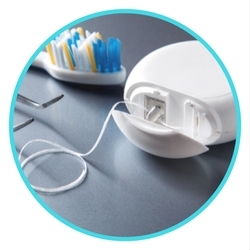 Flossing becomes more important, as you don’t want decay to build up through the years. Water flossers are very useful for this age group, as well as making sure you see the dentist every six months, at a minimum. In adulthood, issues such as fractured teeth may begin to show up, and they can be confusing. When the patient thinks that it is decay or an abscess that is causing the pain, the dentist simply has to tap on the tooth with a metal tool, and determine if perhaps it needs to be extracted. 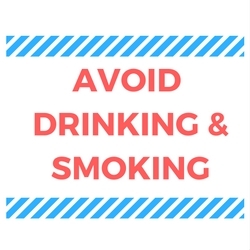 During adult years is when the excessive combination of alcohol and tobacco will really pose a problem, as well as chewing tobacco. This is the phase of life in which certain dental problems become so serious over time that they can even lead to oral cancer. Preventing decay at this stage of the game is so important, that flossing doesn’t even necessary matter if it takes place before or after brushing, as long as it takes place, period. The mouth and teeth themselves may begin to be very sensitive during this time, and the dentist may guide you to a desensitizing toothpaste, or other alternative treatments based on the root cause. During the years of adulthood is actually when nutrition becomes more of a key factor than ever before, and here are some quick tips in that department. 1. Fruits and Vegetables: If these are half of what you consume every day, you are really boosting your fight against decay. 2. Grains: Make sure at least half of the grains you eat are of the whole grain variety, like oatmeal, whole wheat bread, or brown rice. 3. Lean Proteins: Leaner beef, poultry without skin, and fish are all great for the battle against decay, and so is eating around 9 ounces of seafood every week. Iron and calcium are also instrumental for adults, and iron is particularly helpful for women in the 40-60 age range. Supplements and vitamins are great for deriving these from, especially if you are living a very busy lifestyle, but getting them from dairy, cheese, and leafy greens can provide excellent benefits in preventing decay as well. If you are in the unfortunate stage of life where you have discovered you have cancer, some of the medications you may be using could drastically be cutting down on the amount of saliva produced by your mouth. The acids that can form as a result of this cause decay, and so it is wise to have a conversation with your doctor and dentist if you have been told you need cancer medication. Others such as Benadryl and asthma medications can make for an extremely dry mouth, and this environment can breed dangerous bacteria. The biggest concern that many adults are now facing is the cost of dental care, as housing, groceries, and other necessities have inflated drastically over the last few decades. 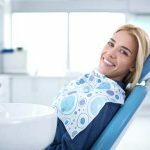 Some adults are foregoing urgent dental care because they simply cannot afford it, and the checkups are what can alert you to potential problems as well as helping you fix them. Even if you are at such a low-income bracket that you have to stand in line for free clinics, don’t despair! 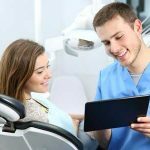 These locations can at least provide knowledgeable dentists at the helm, and x-rays to help properly diagnose what is happening with your teeth. As we age, anything preventative will be of great help, and even an occasional rinse with peroxide or baking soda rids the mouth of bacteria as well. 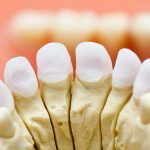 Craze Lines on Teeth: What Are They and What Do You Do?